We invite everyone to play our online game. Game will begin at 7:30 p.m. on July 12th, and last about 20 to 30 minutes. Gaming link will be sent to those who register to play the game. Let’s have some fun! 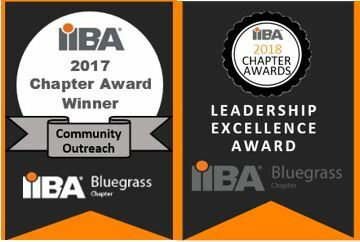 Bluegrass IIBA Chapter has a new, fun, interactive activity with which you can get involved. Online BA Gaming is a series of online business analysis trivia games. We have a few different formats of gaming and will play one format each session. Each session will be 20 to 30 minutes, so it will not take a lot of time; and we will play once or twice a month. This is not intended to help people toward IIBA certification, but some of the business analysis knowledge used in the game will be helpful for that purpose. We intend this just to be a fun, interactive, short activity for us all to have fun. We look forward to you joining us to test your business analysis knowledge!